We think the implication is pretty clear. Sony Ericsson is planning to bring the Walkman brand back to a smartphone device, if we're correctly interpreting a not-very-subtle advert from the brand. 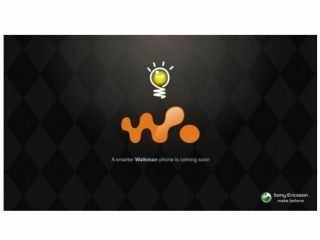 The marketing poster was published by Android Community, which has also had word that Sony Ericsson is gearing up for a 2011 launch for the mystery Walkman handset. It bears the tag line, "A smarter Walkman phone is coming soon." You don't need a degree in reading between the lines to work out what that means, but you may need a masters in precognition to tell us any more than that. There's no sign of any specs or the design of the upcoming Walkman phone yet, although we would say that a media focus is a given - to this end we'd expect a decent GPU and a top-of-the-range Bravia-powered display. While it'd be nice to see Walkman make its comeback on Android, the mystery handset joining Sony Ericsson's Xperia Android line-up could be a case of too many brands spoiling the broth.